Best personal loans for fair credit come with APR of 10% – 20%. People with fair credit are manipulated into believing that they can’t get a personal loan. That is simply not true! The lending market is different and it allows people with even bad credit to get great offers. Still, there are lenders who will not approve you. In this case, you can try to reconsider your loan, discuss with your lender the ability to pay your loan regularly, work on your credit score, get a secured loan or get a co-signer. The best way to find a great offer is to shop around! PersonalLoans 580 5.99% – 35.99%. Different credit score means different things for lenders, but if you have between 580 and 669 points, most of the lenders will consider you have a fair credit score. About 10% of the Americans fall in this range. If you have read some articles on trusted personal finance sites that claim it’s hard to get a loan if your credit score is fair, that you will pay a much higher APR, etc., they should update their content! Elite Personal Finance has created a special guide on how people with fair credit can get a personal loan! These days, getting a personal loan with fair and even bad credit is absolutely possible and relatively easy. People with a fair credit score have many more options available. In this guide, we will walk you through the best of them. The lending market has become more flexible in the recent few years and this will continue. These days, people with fair and even bad credit score have a lot more options to get a loan. Loans that are available for people with fair credit score are: personal loans and alternative personal loans. You can also have find more options at credit unions, banks, credit cards and so on. The average APR that you can expect is about 20%, but in this guide we will show you many ways to lower it. With a fair credit score, you have absolutely no reason to end up with payday loans, which are predatory. One of the most important things that everyone has to do in order to get better loan terms is to shop around, register with many loan companies and compare offers. So now, we move on to the best companies for fair credit. Applying for a loan does not mean that you will lower your credit score (only when a company makes a hard inquiry can they lower your credit score, but this is not a part of the application process and it will be done later only if you approve the offer), it’s totally free and there are no obligations to accept the offer. We highly recommend that you register with all of them and compare all offers. ElitePersonalFinance has researched more than 100 personal loan companies in detail and come up with a list of the best that offer loans for people with fair credit. Personal Loans is a marketplace, not a lender itself. Recently, they have significantly increased the number of lenders in their network. Now people have a better chance to get approved for a loan. Their minimum required credit score is 580, which makes them a great company for people with fair credit. Terms are competitive, so we highly recommend to start your search with Personal Loans. Loan terms are 3 to 72 Months. Prosper is one of the biggest names in peer-to-peer lending. You won’t find them in lists for bad credit, but for good and even fair credit, they are great. They request a little higher credit score of minimum 640 and debt to income ratio of 50%, which means that not everyone with fair credit will get approved. Those who get approved will find Prosper is a really great option. Prosper also looks at other details to evaluate your credit risk. Once you apply, you actually create a loan “listing” that then appears on their marketplace. From there, you choose which loans are great for you. Loan amount is $2,000 to $35,000. Loan terms are 3 to 5 years. Many people with bad and of course, with fair credit, have success with Upstart. That’s because Upstart pays more attention to other factors like your education, work history, the ability to pay the loan, and so on. They are one of the best options for young people with short credit history, or thin credit file, as this is also known. A thin credit file means that you don’t have too much history on it, either good or bad. Minimum required credit score is 620, and the debt to income ratio is 45%. Loan amount: $1,000 to $50,000. BadCreditLoans is a company that we recommend to people with really bad credit. They offer up to $5,000 loans and their APR is 5.99% – 35.99%, which is in the range of personal loans, although in some cases it can be higher than this. Typically, people with really bad credit are approved for loans between $1,000 and $2,000. People with fair credit which is close to bad can try it. And you can be approved for more money in case your credit is fair ‒ you can get $5,000. Upgrade can help you if you have recently lost your job. 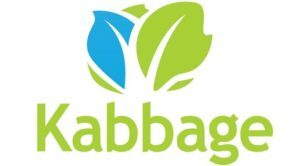 Although they are a relatively new company, they make a lot of personal loan lists on legit personal finance blogs. If you have a credit score of 620 or more, and your debt to income ratio is 40%, you can apply. Payoff works great for people who want to consolidate their credit card debt. Minimum requirements are a little bit higher: credit score has to be 640 and minimum debt to income ratio 50%, which makes them a great pick for people in the higher range of fair credit score. Terms: Up to 60 months. Opploans is a type of alternative payday loans. These companies are here to help people with bad credit and some people in the lower half of fair credit, closer to bad. They have better terms than payday loans, but worse than personal loans. What is great about this type of companies is that they are very flexible. Can People Can Get a Personal Loan with Fair Credit Score? Yes, of course. We have many more problems finding loans for people with bad credit, and we are sure that some of them will end up getting payday loans, which are predatory. People with fair credit score have many more options available. In this guide, we will walk you through the best of them. The competition between big lending companies makes the market much more flexible. In brief, these days, there is much more competition between lending companies who want to give you a loan. Therefore, you get more offers, you receive them faster, terms are better, loan amount is higher, APR is much more competitive, contracts are more transparent and there are fewer or no hidden fees. Now things look totally different compared to a few years ago. And many experts claim that this process will continue. Although many personal loan companies want to work with bad credit, most of them have set minimum credit score required to register. If you are even a few points below what they want, you won’t be able to register. What’s interesting is that these minimum values vary within the range of what is considered to be fair credit score. They are typically between 570 and 640. So, with a bad credit score, you won’t be able to register with most of these top companies. However, with fair credit, you will be able to register with some of them and with good, very good and excellent credit, you will be able to register with all of them. Now you can see how important it is to try to add some points if you have fair credit. Even a few points difference can help you get much better offers. If you are close to having a good credit score, then you can even cross the line, which will get you even better offers. However, there are companies that will accept your application without minimum credit score requirement. All people, including those with bad credit, can apply. Another factor that plays an important role when applying for a personal loan is the debt to income ratio. There are companies that have some minimum requirements for it, while others do not. If you are below their requirement, you have to find some ways to get to the minimum they require so that you can receive much better offers from lenders. Your debt to income ratio is an important factor in your credit score, so if you boost it, this will instantly impact your credit score. Many lenders will also look more carefully at your ability to pay the loan. 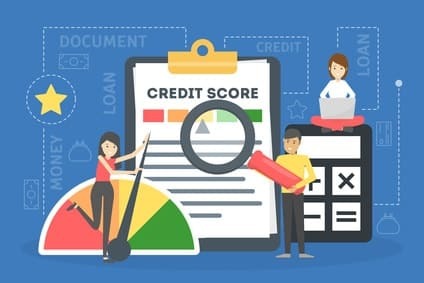 Although credit score is the primary factor, these days lenders pay much more attention to income, education, and so on. This opens the door for people with fair and even bad credit. Alternative payday loans. All of you who are still having some difficulties getting a personal loan, or are not receiving a lot of offers to compare, you can also try alternative payday loans. We have a lot of information on alternative payday loans on our site that you can review later. But in brief, they are loans with a higher APR than personal loans, but much lower than payday loans. They work with bad and fair credit, so it’s absolutely possible to apply for most of them. They are also much more flexible and give a lot of benefits. For example, if you have bad credit now and get a loan, your APR will be high. But if you start paying the installments on time and work on improving your credit report, they will start lowering your APR and start giving you much better terms. Some of the loans reviewed on this page are alternative payday loans. Avoid payday loans. We gave tips to people with really bad credit on how to avoid payday loans because we know that some of them will end up taking predatory payday loans. But for people with fair credit and above, let’s close this topic. There is absolutely no need for you to end up with payday loans with an APR of 400% or more. How to Deal with Your Fair Credit Score? Request your credit report from AnnualCreditReport. Have you paid some loan with success recently? Do you have a credit card which is in good standing? Ask your lenders and issuers to report that to 3 bureaus and this will give you a few more points. Increase your debt to income ratio, which is not only one of the main credit score factors, but also an important factor that lenders use to determine your credit risk. Shop around! 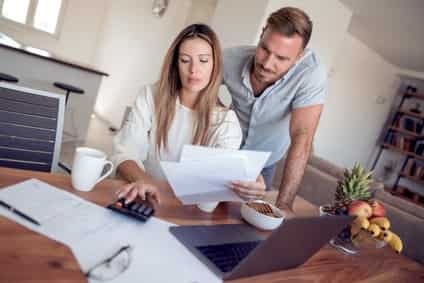 Fair credit score definitely opens the door for applying to many loan companies, but there will still be some that will consider you to be slightly risky. Many lenders will also look at factors like your income, education and so on. You won’t lower your credit score by doing this, because a hard inquiry that lowers it will be performed only when you accept the offer. Applying for loans doesn’t change your credit score. It’s free to apply and there are no obligations to accept any offers. To put it simply: Register with all companies you can and compare the best offers for you. There are also other ways to lower your APR. If you have a regular income, if you put things in collateral or if you get the loan with a co-signer and guarantor, many loan companies will agree to offer your terms similar to those you would get if you had an excellent credit score. But in this case, you have to be sure that you will pay the loan on time. Reconsider the loan if you haven’t been approved. In most of the cases, you can ask a lender again to check your application and try explaining them that you are able to pay the loan. Many people achieved success doing this. With fair credit score there are many options available to get a loan on a reliable APR. If you can add few points , then you can significantly improve the numbers of offers and get a better terms. Do not fall to predatory payday lenders. We are sure that you will get great personal loan with your fair credit score.